In an award-winning newspaper series, two investigative reporters from the St. Petersburg Times chronicled how federal rules meant to protect the nation's wetlands were more illusion than law. Now, that series has been expanded into a book, delving into how we got to this point, starting with land speculators making waterfront property out of sand dredged from the bottom of the ocean. Now, read how the nation's wetlands protections were formed in clashes between developers, bureaucrats, judges, activists and con artists over Florida swamps. 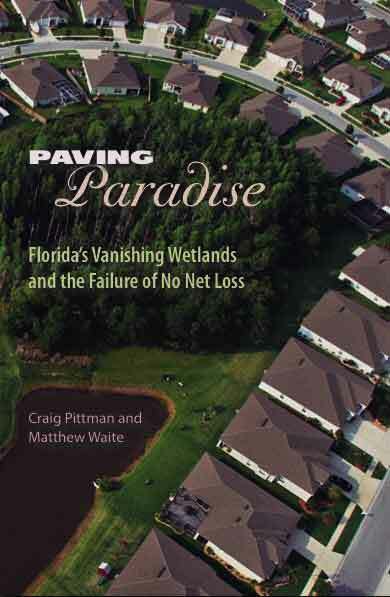 Published by the University Press of Florida, Paving Paradise went on sale in March 2009, and it's also available on Amazon. See the how to buy area for more information.